One Saturday back in October, I was browsing around the Farmers Market when one of the neighborhood girls came up to say hello. I’d just seen a booth full of faerie costumes and asked the little girl if she had one. She said no, so I suggested we go pick one out so her mother could buy it for her. She was very onboard with that plan. 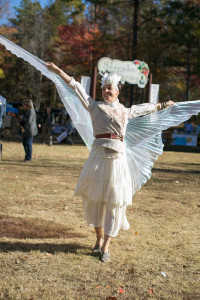 I have always been enamored of faeries and decided Serenbe could do better than a booth. So I declared the last day of the Farmers Market was going to be Faerie Day. The faerie fascination struck me years ago when I saw a movie called FairyTale: A True Story about two girls in WWI England who photographed faeries and no one believed them. Then two men came forward to champion their cause. They weren’t believers at first, but they took the photos to an expert who said they had not been altered in any way. Those men were Sir Arthur Conan Doyle and Harry Houdini. I love England’s love of faeries. It’s more than just faerie gardens: Every year, Oxford University gives out a Faerie Award. I just love that they do that. 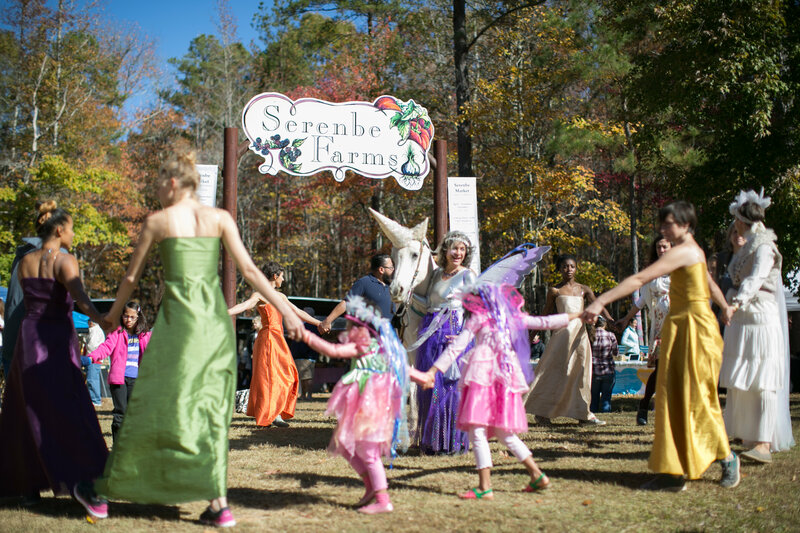 On this side of the pond, Serenbe’s first Faerie Day was a success. I had the faerie lady from the farmers market make me a skirt out from strips of glittery material. I also had a wand, headpiece and big purple wings. 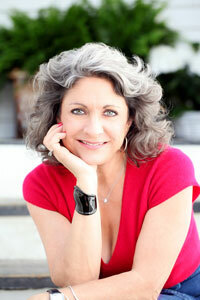 I’m already planning a flowing robe for next year’s event. 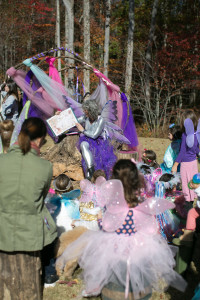 Children, adults and their inner children came out dressed as their favorite faerie. I learned that faeries are not just winged creatures; they’re also trolls, mermaids, elves and such. There are sub-sets in the faerie world. Who knew? We made faerie charms, I read a faerie book and the otherworldly dance experience glo performed and formed a fairy circle with the children. The Blue Eyed Daisy had faerie cupcakes. We showed Fairy Tale at the Inn. And then there was a unicorn. Of course there was a unicorn. Sandy Sue, one of the horses at Serenbe Stables, was a perfect fit with her gorgeous white coat. We adorned her with a horn and she was resplendent.